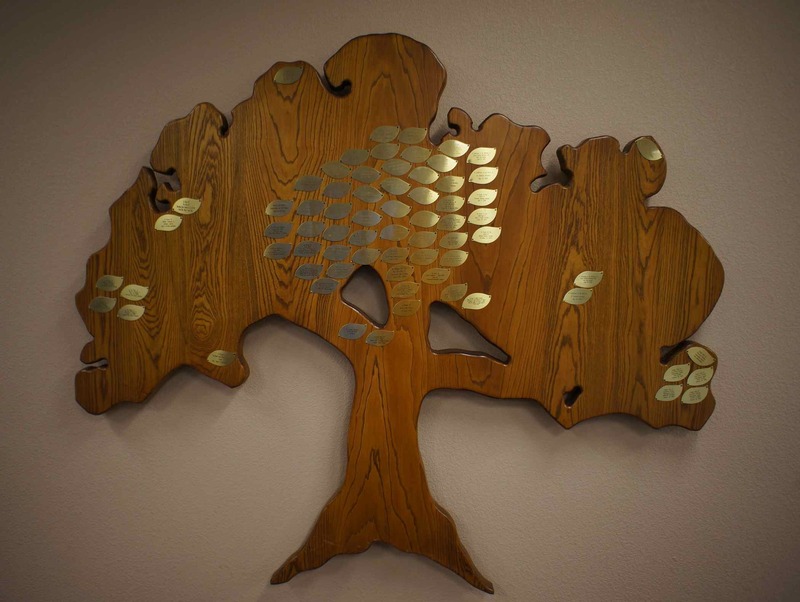 We have a beautiful wooden Tree of Life in our social hall which has empty space longing for new leaves . This is a wonderful way of recognizing an individual or honoring the celebration of a life cycle event. Think about a gift of a leaf, in honor of that individual or event. The leaves can also be used to thank someone who has done something personal for you or for the temple as a whole. Recipients will appreciate your thoughtfulness. Besides honoring someone, it is also an opportunity to memorialize someone who has passed away. This is your opportunity to help our tree flourish with new growth. Individual leaves are available for $72.00 which includes inscription of your choice. To make a purchase please contact Dee Cook at 575-642-3370.